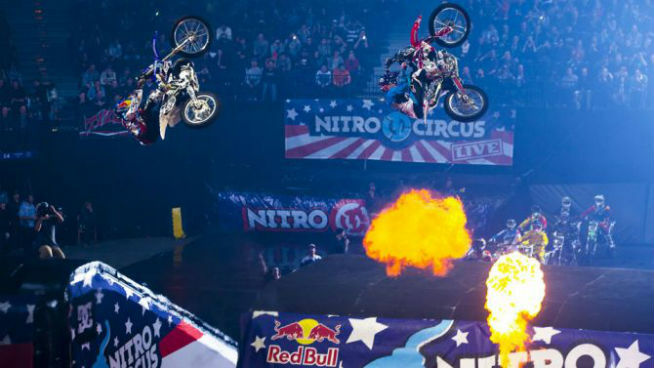 What’s On details Nitro Circus Live in Abu Dhabi. Find out where to watch Nitro Circus in Abu Dhabi, and also watch video of stunts from Travis Pastrana. Abu Dhabi will be treated to a surprise performance that’s designed especially for the country’s National Day. Pastrana will arrive with his motley crew of 40 of the world’s best action sports athletes to perform a series of dangerous and jaw-dropping stunts in freestyle motocross (FMX), BMX and skating – while also promising to show off their skills on other ridiculous ‘vehicles’ including a rocking horse, Barbie car, kids tricycle, bath tub and boogie board. 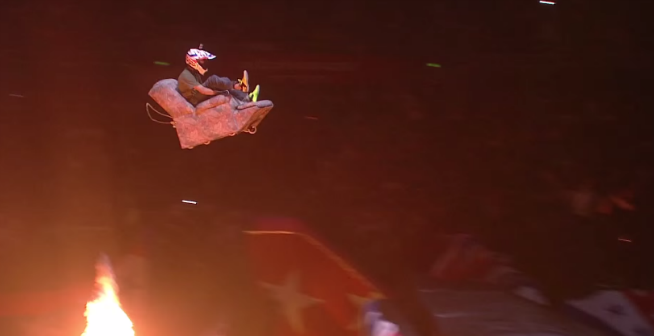 In the early 2000s, Travis Pastrana and his friends released 10 DVDs showing off their stunts and skills. 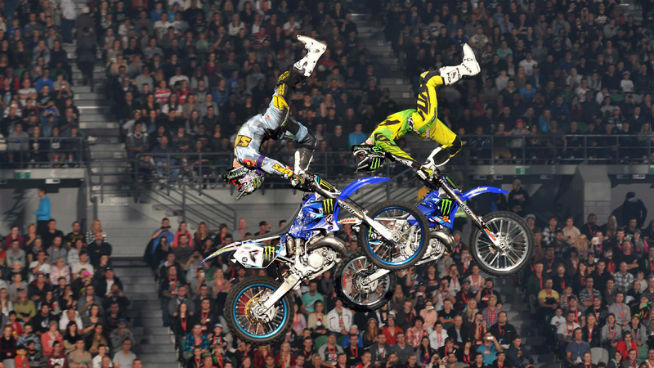 Soon after, Nitro Circus became a worldwide hit, touring Australia, New Zealand, USA, South Africa, Asia and Europe. This spawned a TV series which in turn became a movie. The circus is a gathering of action sport stunts, mostly base jumping with dirtbikes, skates, scooters and a range of crazy contraptions, including a rocking horse, Barbie car, kids tricycles, bath tub, lazy-boy couch and boogie board. Fans are promised some of the most difficult and dangerous stunts in freestyle motocross, BMX and skates with highly-skilled athletes from across the world performing their biggest and best tricks off Nitro Circus Live’s multi-million dollar set, including the famous 15 metre high Nitro Giant-A-Ramp. Tickets start from Dhs199 and are available via tixbox.com.